KOCCA (Korean Creative Content Agency) returns to SXSW for their 6th annual showcase. Korea Spotlight, formerly known as K-Pop Night Out, presents yet another exciting lineup of Korean artists during the 2018 SXSW Music Festival. 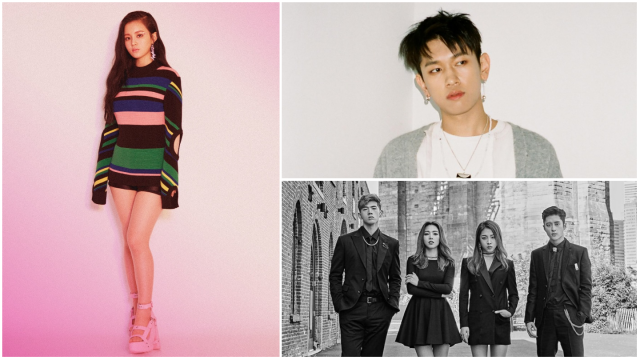 This year’s lineup includes YG Entertaiment’s (PSY, Big Bang, 2NE1) soulful R&B popstar Lee Hi, breakout k-pop quartet KARD, and buzzy pop-futurist CIFIKA. Up-and-coming rap act DPR LIVE, Feel Ghood Music rapper Junoflo, R&B singer Crush, and 90’s-inspired indie rock quartet Say Sue Me, who recently inked a deal with UK indie Damnably also join the lineup. Korea Spotlight will take place at The Belmont on Friday, March 16. SXSW Platinum and Music badgeholders receive primary access to the event. Interactive Badges, Film Badges, and Music Festival Wristbands receive secondary access. This showcase will be open to ages 18+.